Christmas Hampers a great gift idea for the person who has everything. Home / Christmas gift ideas for her / What present do you buy the person who already has everything? What can I give someone for Christmas when they already have everything? 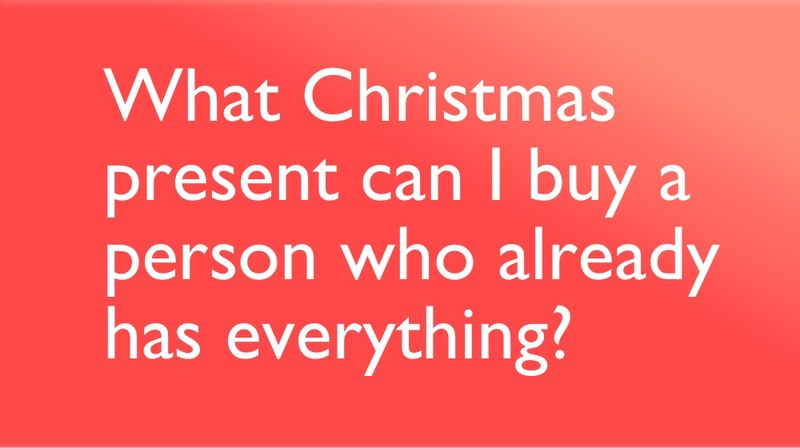 That’s a question I hear a lot in the run up to Christmas. 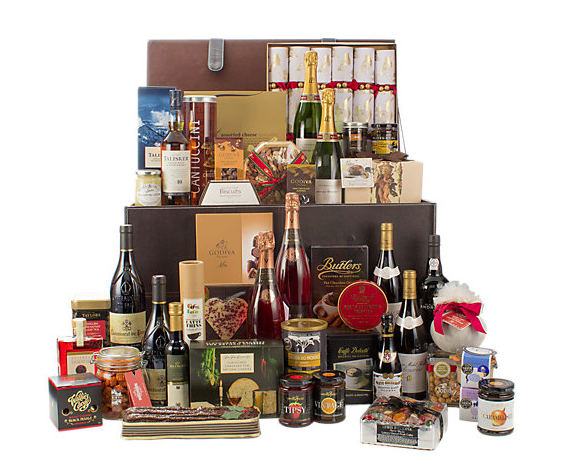 Increasingly my favoured solution for couples and other members of the family is to buy them a Christmas hamper. 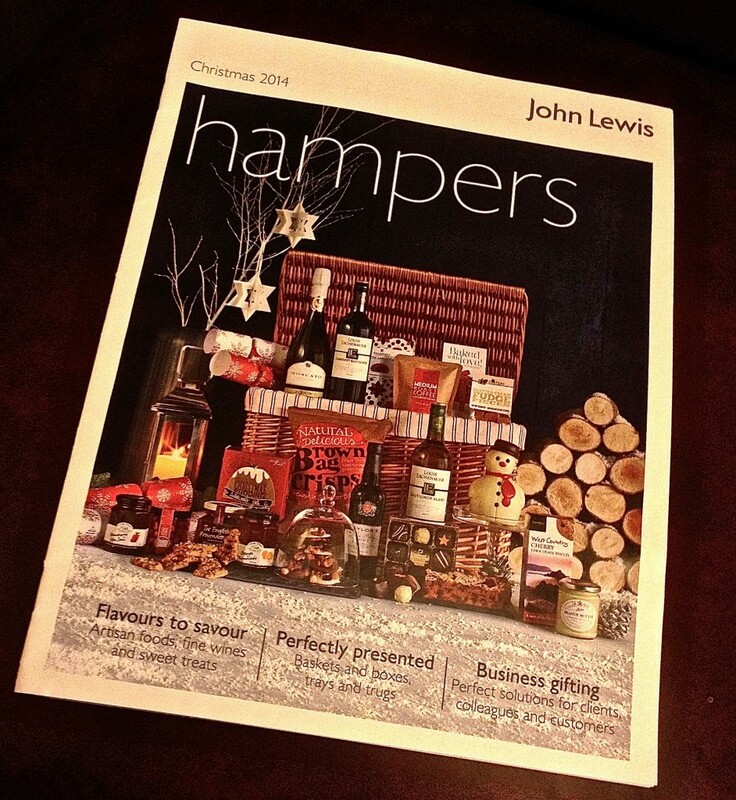 I was walking through the local John Lewis branch the other day and picked up their Christmas Hamper brochure and it’s packed with different hamper ideas at a range of price points from £30 to about £800. They do a range of traditional Christmas hampers, drinks hampers and confectionary hampers presented in lovely baskets or boxes. They are very flexible and you can either have them delivered to you, directly to the recipient or you can pick them up with their excellent click & collect service. I think it’s well worth looking through the John Lewis Christmas Hampers online, even if you don’t want to buy a ready made hamper their website will give you lots of ideas for building your own hamper. But if like many of us you don’t have much time this year, a ready made hamper is a great solution. 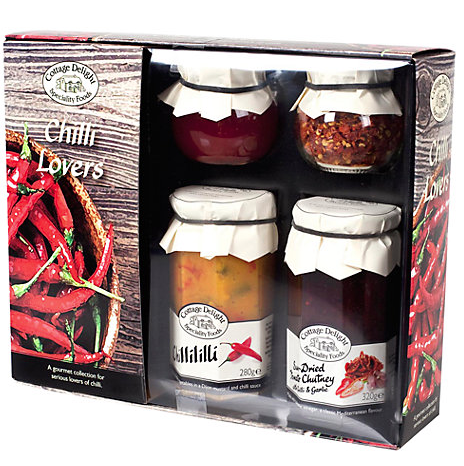 At about £18 I can think of several people who would be really pleased to receive this simple Chilli Lovers hamper. It’s the sort of unusual gift that would work well for a lot of men, better than another pair of boring socks. On the other hand if you want to buy a little something for someone really special, how about this top of the range hamper…. It’s currently selling on JohnLewis.com for £800, so may not be for everyone, but will certainly give you lots of ideas for what to put into a slightly smaller hamper if you want to build your own. If you run out of time just click here to see their full range of hampers. Finally don’t leave ordering hampers too late, they do sell out quickly in the run up to Christmas.